3 Best Places to Buy Lottery Tickets Online! Is It Legal to Buy Lottery Tickets Online? Where Are the Best Places to Buy Lottery Tickets Online? When Can I Buy Lotto Tickets Online? What Payment Methods Can I Use to Buy Lottery Tickets Online? If you’ve ever wanted to play the lottery online, you’ve come to the right place. We’ll show you the best places to buy lottery tickets online, as well as up to date information on the biggest lottery jackpots. We’ll also answer any questions you might have along the way. Here at Lottery Critic, we’ve got you covered! Ready to play? Let’s get started. Where Can I Buy Lottery Tickets Online? There are a ton of different places to purchase lottery tickets online. All of them offer exciting lotteries from all over the world! However, there are also quite a few scammers out there. We help you figure out which sites you should steer clear of, too. Visit a website that sells lottery tickets online. You can see a list of online lottery options here. Or you can visit our preferred pick, TheLotter. Sign up for an account. You can sign up here. Purchase a lottery ticket from your favorite lottery! Yes. Depending on the lottery and your local laws, of course. You might be thinking: Wait! I’m from a different country. Am I even allowed to play? Sure! There are many lotteries that welcome players from all over the world. Some of the biggest lottery games around the world aren’t limited to residents of the countries where the draws are held. Before the Internet, all of this meant that you could go to countries like the US or Italy as a tourist, buy a lottery ticket, and claim the winnings if you won. These days, this means that you don’t even need to leave your house! Directly from the lottery operator, if it supports online purchases. Through an online lottery agent like TheLotter or Lotto Agent. Here’s a quick answer: the lottery that delivers the best cost-benefit ratio. As the cool kids would say, that’s the lottery that gives you the most bang for your buck. It’s tempting to say that the lotteries with the biggest jackpots are the best ones to play. After all, the US Powerball’s record-breaking $1.58 billion prize back in 2016 absolutely dwarfs the Australia Powerball’s current $8 million AUD jackpot. If you’re going to play to win, might as well go for the biggest pot, right? First, your jackpot odds vary depending on the lottery game. The US Powerball might have the biggest prize, but your chances of snagging that Powerball jackpot are astronomical: 1 in 292 million. Depending on how you look at it, you stand a better chance of ending up a movie star. By contrast, smaller games lean more in your favor. Just look at the Australia Powerball (1 in 76.7 million) or the Sweden Lotto (1 in 6.7 million). Of course, since the odds are better, the jackpots here are more likely to be won before they grow beyond a few million dollars. Of course, jackpots aren’t the only prizes up for grabs in most lotteries. You might not get all the winning numbers, but matching a few will still get you some cash. Mega Millions, for example, presents a 1 in 42 chance of winning some kind of prize. (Of course, that includes prizes of $10 or less, so you could end up like the unlucky half of the famous Stocklas brothers.) Meanwhile, Spain’s Christmas raffle gives you a 1 in 7 chance of winning some portion of its €2+ billion prize pool. Finally, not all lottery payouts are created equal. In the US, for example, you can pick between a lump sum payment or an annuity payout. The latter means you get most of your prize paid out over the course of 20-30 years, depending on the lottery game. If you opt for the lump sum payment, meanwhile, you’ll get everything in one go — but the money will be considerably less than the jackpot amount. Whichever option you pick, your winnings will be subject to state and federal taxes, which can gobble up a significant portion of your prize. By contrast, countries like the UK and Australia don’t impose taxes on lottery winnings. However, if you’re playing these lotteries from a different country, you’ll still have to watch out for any local taxes you’ll have to pay once you claim your prize. So what’s the best lottery to play? That depends on what you want to get out of the game. If you’re looking to win big and you have some money to burn, you might be better off chasing the bigger jackpots. If you’ve got a limited budget and you’d like to maximize your chances, smaller lotteries might be better bets. To get help finding the best lottery games, check out our online lotto reviews. Can You Buy From Official Lottery Operators? Some lotteries, like the UK National Lottery or the US Powerball, give players the option to buy tickets online. This is the digital equivalent of dropping by your neighborhood deli and picking up a few tickets for yourself. You can also sign up for subscriptions online if you live in New Hampshire, New York, and Virginia. What’s more, for most of these services, you’ll actually have to be in the state when buying tickets online. Can You Buy Lottery Tickets Online From Another State? Generally, no. Gambling laws can be tricky in the United States. US federal laws forbid gambling, but states have the right to allow lotteries—only within the state’s borders. That’s how you get places like Georgia and Illinois, which have laws that allow residents to buy tickets online. The catch? Those online purchases have to take place within the state, and usually only for residents. If lottery ticket sales happen across state lines, they enter federal jurisdiction — where they’re illegal. Take note: it’s the sales process that can’t happen between different states. It’s perfectly okay for you to travel to another state, buy a ticket, and bring it back home. Who knows, you could end up like Bob Stocklas, who won millions on a Florida fishing trip. What Are Online Lottery Agents? 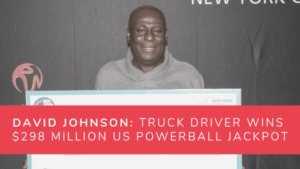 Not all lotteries can rack up massive jackpots like the US Powerball’s $1.58 billion prize. Does that mean you’re limited to your local lottery’s smaller prizes? What happens when you live in a different country altogether? You can check out our article on online lottery agents. Online lottery agents buy tickets on your behalf, for a fee. You’ll pick lotteries and pay for tickets through their secure website, and they’ll send one of their staff to actually buy tickets in your name. Many will send you a scan of the ticket as proof of purchase and ownership. Others will give you copies of the receipts instead. If you win, they’ll notify you. With most lottery agents, you either get the money deposited directly into your account, or you’ll get assistance for claiming the prize yourself. How Much Do Online Lottery Tickets Cost? Don’t be surprised if you have to pay a little extra for your online tickets. Whether you’re buying directly from the lottery operator or through an online agent, you’ll usually have to pay some kind of service fee for the convenience. Some lottery agents don’t charge service fees but take a commission from your winnings instead. In these cases, expect the cut to range anywhere from 3% to 10% on average. How Many Lottery Tickets Can You Buy at One Time? Most lottery sites don’t restrict the number of tickets you can buy for a draw. As long as you have the money to pay, you can buy as many as you like. Of course, when it comes to the actual payment portal, you can’t just ask for 1,000 tickets and call it a day. Lottery agents like theLotter or Lotto Agent will usually let you buy 20-30 tickets in one batch. There are no limits to how many batches you can get. Some sites will also have systematic forms. These let you supply a list of numbers, and the website’s system automatically buys tickets to cover as many combinations of your given numbers as possible. For example, you can give 9 numbers that the system will play in different combinations across 100+ tickets. Before you start looking into online lottery agents, make sure your country permits online lotteries. Some countries, like the US, have restrictions on online gambling, including lottery games. Use your best judgment when signing up at an online lottery site. Otherwise, you could lose any prizes you might win, among other penalties. Does this mean you have free reign if you live outside these countries? Not so fast. Gambling laws can vary a lot depending on the country or area. As you saw earlier, even places like the US can have tricky exceptions. Conversely, countries that allow online gambling, like Belgium or the Isle of Man, often have strict requirements for gambling operators. It’s best to check a lottery website’s licenses before you play. Not all websites will be upfront about their legal status and/or security measures, but that itself can be a red flag. When buying lottery tickets online, you’ll get the best results if you stick to websites that provide ready proof of their legitimacy. Not sure how to check a lottery website’s security or licenses? Here at Lottery Critic, we do that for you. Security and reliability are some of the factors we keep in mind when reviewing online lottery agents. If there’s a website you’d like to try, check out our reviews to see if you can trust it with your money. Should You Join a Lottery Syndicate? You won’t find syndicates on official lottery operator sites, but many lottery agents will give you this option. The big question is: should you try it? A syndicate works by pooling multiple players’ money to buy a large batch of tickets. Any winnings from those tickets will then be split among the contributing players according to the number of shares that each player chipped in. The goal is to give every player more chances of winning without costing as much. The downside, of course, is that you’ll share the pot with other players. You’ll still get millions if you hit the jackpot, but any smaller prizes can easily get reduced to chump change if you split with too many people. If you don’t mind sharing, though, syndicates can be a cost-effective way to snap up more tickets than you can usually afford by yourself. You can check out our guide to find out how syndicates can boost your chances of winning the lottery. Should You Get a Subscription? When you buy lottery tickets online, you play in the upcoming draw by default. Some lottery websites, however, will let you arrange to have tickets entered in the following draws, too. This is called a subscription. When you sign up for a subscription, you can choose to have fresh tickets entered in upcoming draws. Usually, you can choose how many future draws you’ll play in, or how many weeks you want to subscribe. Some lottery sites will bill you the full amount upfront. Others will deduct the ticket costs from your account as each draw comes up. Subscriptions can be a good option if you’re in it for the long haul. They eliminate the risk of missing a draw. Plus, they take the trouble out of buying tickets regularly! So you’re ready to start playing. There’s one big question left, though: Where can you buy lottery tickets? If you’re lucky enough to live in one of the areas with direct online ticket portals, you have nothing to worry about. You can get lottery tickets straight from your local operator, or you can check to see where you can buy tickets near you! Not sure if your area sells lottery tickets directly online? Just search for your state’s (or country’s) lottery website and see if you can buy tickets straight from your state or national lottery operator. If all else fails and there are no online options, you can still check if there are any licensed retailers selling lottery tickets near you. For players who aren’t as fortunate, there are many alternatives. In fact, Lottery Critic has a whole section for rating and ranking online lottery sites! If you’re not sure where to start, check out our reviews page for our recommendations. We also give you a rundown of the factors we look for, so you’ll know how to judge if a website is worth trying or not. theLotter offers unparalleled value and variety for new and experienced players alike. You can play in any of 50 lottery games, plus syndicates and millionaire raffles. The site is a breeze to use, too. Check out our full review to see why theLotter should be top of your list. Bmillions is a good place to start if you’re interested in group play. It offers 11 syndicates to choose from, as well as value-for-money Combos that bundle multiple syndicates into one package. WinTrillions is a great choice if you want to ditch your credit or debit card. With support for 32 different payment methods, including Bitcoin, WinTrillions is an accessible portal to 20 lottery games and multiple syndicates. You can buy lottery tickets any time, any day. Unlike brick-and-mortar retailers, websites don’t have closing hours. You can just visit your lottery website of choice and buy a ticket. Of course, you’ll have to do that before the draw you want to participate in. Until What Time Can You Buy a Lottery Ticket? Cutoff times can vary per state (if your state lets you buy tickets online). If you’re buying from a lottery agent, cutoff times can vary depending on the website. Here’s where things get tricky! If you’re using an official lottery operator’s website, make sure you buy your ticket 1-2 hours before the draw. If you’re buying tickets through an online lottery agent, your cutoff will usually be anywhere from 2-5 hours before the draw. Why do online lottery agents have different cutoffs? Well, these sites set their deadlines according to the time it takes their staff to go out and buy tickets. How Early Can You Buy Lottery Tickets? Most lottery websites will let you buy for future draws or sign up for a subscription so you get tickets regularly. The catch? When you buy for future draws, you usually can’t skip to a particular draw. Instead, you have to choose how many of the next draws you want to play in succession. Let’s say you’re playing the Powerball. At most online lotto agents, you can’t just buy tickets for next month’s draw. You’ll have to buy tickets for all the draws between today and next month, too. When Are the Lottery Draw Days? Here’s a quick look at the draw days for major lotteries that you can play online. Note that the days shown use the local time for that lottery. For example, “Sunday” for El Gordo would mean Sunday in Spain. Can You Buy Lottery Tickets on Sunday? Yes! Online lotto agents sell tickets at any time and day, including Sundays. Most online lottery websites accept debit and credit cards. Visa and MasterCard are the most common, but some also support other options like Discover or Diners Club. This really depends on your chosen lottery website. Digital options like PayPal, Skrill, and ePay also enjoy frequent support alongside more old-school methods like bank transfers. Some online lottery agents like WinTrillions also support more offbeat payment options like Bitcoin. However, these are rare. If you plan to use cryptocurrency for your transactions, you’ll have far fewer sites to choose from. The best online lottery websites will use top-grade encryption (at least 256-bit SSL, if you’d like specifics) for all your financial transactions. Try to look for certified security badges when browsing a site you’re thinking of using — these can usually be found in the site footer (at the very bottom of the home page) or on the website’s About page. Can You Buy Lottery Tickets with a Credit Card? Most, if not all, online lottery agents take credit card payments. Visa and MasterCard are the most common, but you’ll occasionally find agents who take other cards like Diners Club, too. Can You Buy Lottery Tickets with a Debit Card? Credit card payments are the most common, but many online lotto agents support debit card transactions, too. As with credit cards, Visa and MasterCard debit cards enjoy widespread support. Yes, it’s definitely safe to purchase lottery tickets online, but you need to know where to go and who to trust. This really depends on which website you use. You have to be careful! Check and double check, and make sure you know what you’re getting into. Remember, there are online scammers lurking in every corner of the Internet. Proceed with caution, and arm yourself with knowledge. Where’s the Safest Place to Buy Lottery Tickets? Our hands down favorite place to buy lottery tickets is TheLotter! 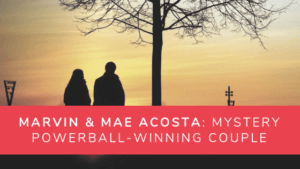 Want to find out why they score so high with Lottery Critic? Learn all about them by checking out our review on TheLotter. 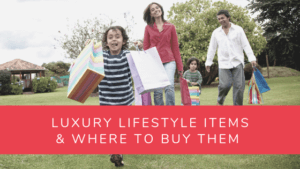 If you’d like to explore more options, you can also go through our full list of over 30 reviews on websites you can buy lottery tickets from. 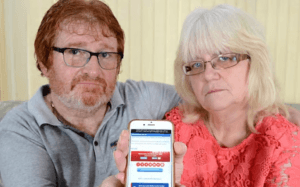 What Are the Hallmarks of Safe Online Lotteries? If a site promotes security and transparency, it’s usually a good sign of legitimacy. It’s easy to spot online lottery scams if you know what to look for, and it’s even easier to identify legitimate lottery sites. Security and transparency are important signs to look out for, but how can you tell? Let’s explore what makes an online lottery site safe, and why. Security and Trust Logos. The usual suspects: VeriSign, GeoTrust, McAffee Secure, and Norton. If a lottery site features these logos, there’s a higher chance of it being legit. Note that some security and trust logos can come from lesser known companies. Don’t assume the worst if you don’t see a website rocking a GeoTrust logo! SSL Encryption. Logos are good, but anyone can fake them. You can click on them to verify, but a better measure of safety is SSL encryption. It’s generally tougher for scammers to fake, and even harder to crack! SSL encryption secures the sensitive data that you give to a website: credit card information, email, and the like. Want to check if the site you’re using has SSL encryption? When you’re entering sensitive details on a form on a site, the URL should be green and/or have an image of a padlock. License and Regulations. A legitimate lottery site must be licensed and regulated by a gaming commission. This ensures that the company is adhering to both local and international regulations. If they fail to award prizes to winners, they can be held liable. Open Communication Lines. Legitimate lottery sites will often have support channels you can access. Some offer online forms, email addresses, live chat, and live phone support. Some are even active on social media sites, like Facebook or Twitter. What’s the Bottom Line When it Comes to Playing Lotteries Online? 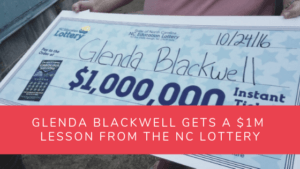 Buying lottery tickets online can be a rewarding experience—as long as you’re on a legit website. Legitimate lottery sites offer a secure gaming experience and don’t hide behind a veil of anonymity. If you find a lottery site that does not have any of the characteristics I mentioned above, move on to the next one! You have dozens of lottery games at your fingertips thanks to the Internet. 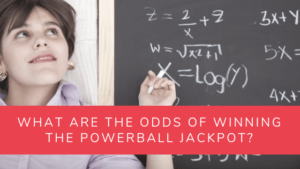 Massive lottery jackpots from the US Powerball, MegaMillions, Euromillions, and more are no longer out of reach—even if you play in the comfort of your own home! We hope our guide has given you the knowledge and confidence you need to start playing. There’s a wide, wonderful world of lottery out there. With just a few clicks, you can be part of it, too! 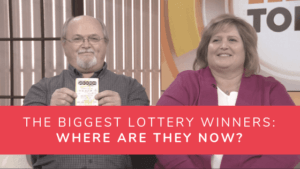 The Biggest Lottery Winners: Where are They Now? 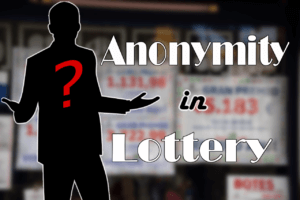 Anonymity in Lottery: Which Countries Allow You to Protect Your Identity? Are You Ready to Start Playing the Lottery Online?